Having had the opportunity to use quite a few Intel Z87 motherboards over the space of a couple months, I've been fortunate to see a lot of variety in innovation and style from Intel's board partners with products for the new platform. We've now seen two Dragons, the Tank, and the Racer, but those aren't the only new board designs available for purchase right now. Sitting in my test bench is another new product from ASUS, whose slice of the technology market's sales figures cannot be ignored. ASUS started the ROG branding program many years ago now, and as time and platforms have progressed, ASUS has grown as well. The sales figures put up quarter after quarter show that the ROG line-up is one of today's most liked line-ups around the world. ASUS started the ROG line-up with just one or two products, but the branding now includes nearly every type of product ASUS makes, from boards and VGAs to cases, soundcards, and peripherals. 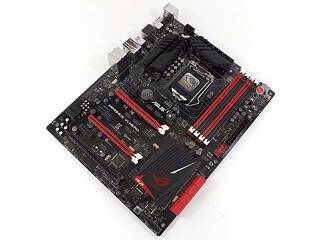 This time around, ASUS is expanding upon the board line-up after tons of requests from end users. Enthusiasts raised their voices and ASUS listened. The ASUS MAXIMUS VI HERO is a brand-new, value-centric addition to the ROG line-up, a line-up whose products traditionally carried a price premium. The ASUS ROG MAXIMUS VI HERO has come to save the enthusiast some money, offering a fully-fledged ROG experience by putting everything the Republic Of Gamers brand has been known and respected for into a small and easily digestible package that's quite a bit lighter on the wallet. Can the ASUS HERO save the day, or will I be singing along to Tina Turner?